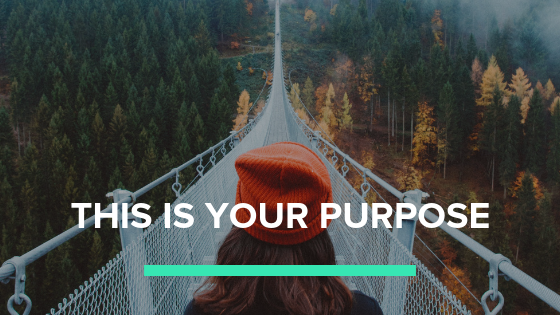 From where I stand, too many conversations about life purpose centers around making money, being original, becoming well-known, making a big impact, garnering a ton of Instagram followers, or having ONE TRUE PURPOSE. As if your life purpose was singular and final, somewhere you arrive. Your purpose in life is as natural, as life-giving, and as inevitable as your heartbeat or your next breath. You simply need to let it BE. Trust what arises and what calls to you; not because it will get you something or make you somebody, and not because there is an IT that comes with angel’s singing “Yes, this is it!” but because life wants you to play, to live, and to experience. Your life purpose is not a problem to be solved, but instead a splendiferous adventure to live. It will change and grow with you because how can it not? It’s in you, it is you, so it grows as you grow. Maybe life purpose is an antiquated term best left behind? We need a new word, a fresh concept, another way to talk about allowing life to live through us. Maybe we need to listen to the poets and the mystics instead of the “life improvement people.” Of course, that includes me. Why not heed Hafiz, beloved poet of ancient Persia? Oh my gosh….I am putting this quote on my wall, “Your life purpose is not a problem to be solved, but instead a splendiferous adventure to live.” Brilliance!